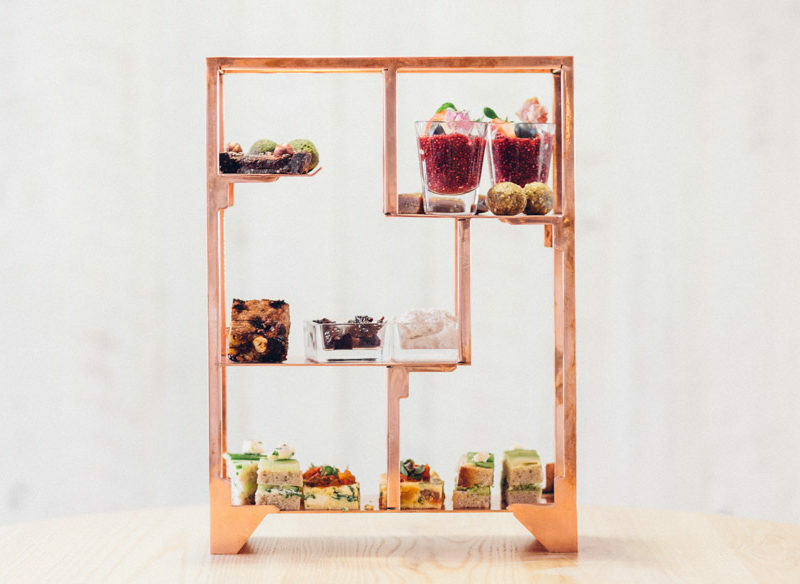 Cha Tea Providores in Surfers Paradise gives teatime a modern twist. Why should coffee drinkers get all the cool haunts and artistry in their cuppa? For too long tea drinkers have been lumped with run-of-the-mill tea bags while bean drinkers are spoiled with exotic blends of single origins. That’s all changing with some very cool tea bars popping up around the country; here are some to check out. Super-styled interiors of soothing whites and sunny yellows serve to reclaim the art of taking tea from the white-haired set. The Rabbit Hole is the perfect spot to disappear for a few hours as you sip on organic blends and nibble tea-appropriate morsels such as the prettiest shortbread ever. Your brews come in the form of a tea latte, mocktail or infusion, served at Redfern and Barangaroo. Setting out to re-imagine the tea experience with a modern aesthetic and approach, Cha is another chic brew house where the leaf is the hero, from black to green and tisanes. Sit with a pot and a cupcake or spend time with friends over a high tea experience or chocolate plate. You can also purchase pretty teaware and blends to take home. Open until 10pm most nights, Porcelain Tea Parlour provides a welcome alternative to post-dinner bars. But pop into this Carlton shop any time for a tea flight, a takeaway or a ‘tea and post’ package, which includes letter-writing materials and domestic paid postage. Tapping into the history of Melbourne landmark The Rialto is this classic high tea. Inspiration comes via the wife of the architect who designed the Winfield Wing of the hotel: a Mrs D’Ebro, who in the 1890s would entertain guests with lavish teas at her house in Toorak. Served in The Rialto’s Market Lane Bar, it’s tea to splash out on. This quaint and kitsch tea bar, pouring everything from loose leaf to cold brew to iced teas, is in stark contrast to adjoining Death Valley Bar, which serves harder liquids. But during the more reasonable hours of the day, you can come for tea and a brunch of buttermilk waffles. Southside’s cosy op-shopped and vaguely trailer park vibe is a cute take on your usual tea house.